On March 3rd Hardwell premiers his highly anticipated new Visual Concept Show at Energy, the ID&T event that takes place for 20,000 clubbers at The Jaarbeurs in Utrecht/The Netherlands. His live show goes beyond the music and into the realm of spectacle, where stunning visuals are a key component of a successful performance of this nature. 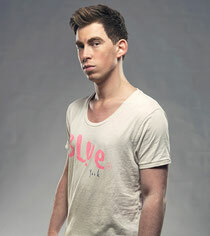 For this, he has recruited the talents of Ruud de Wild, a videographer with a background in fine art and graphic design, who has constructed some bold, striking set pieces tailored to Hardwell’s trademark high-energy style. As well as having several solo art shows under his belt, de Wild was commissioned to paint a Trabant for U2, has created book and album covers and designed and decorated a room in the American Hotel in Amsterdam. Ruud has already had exhibitions in the Netherlands, London, the Los Angeles Art Fair and the Fine Art Fair in Houston. He is also an established radio DJ, making him a natural choice for a performer looking to establish a deep connection with an audience. Together they have created something truly special, an intricate blend of visuals on a 38 meters wide visual wall and mind-blowing music. The pair has chosen the perfect location to give Hardwell fans a taste of the show. ID&T have brought some of the world’s finest dance talents to Energy this year and he shares a stage with Eric Prydz, Sander van Doorn, Fedde Le Grand and headliner Tiësto. 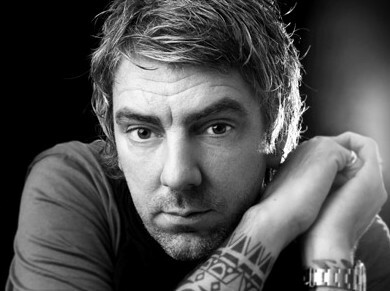 He also produced Energy’s 2012 anthem, a huge track called ‘Cobra’. Dates have also been set for Hardwell’s tour and following the premiere at Energy the show hits the road. Dates announced include Beyond Wonderland in San Bernadino, CA, on March 17th and his own club night Hardwell presents Revealed at Set in Miami on March 23rd.